Beauty Blog by Angela Woodward: What is the difference between Traditional Makeup and Airbrush Makeup? 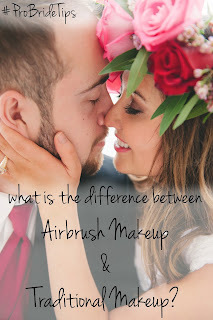 What is the difference between Traditional Makeup and Airbrush Makeup? I really only recommend this type of makeup for brides who have clear skin. 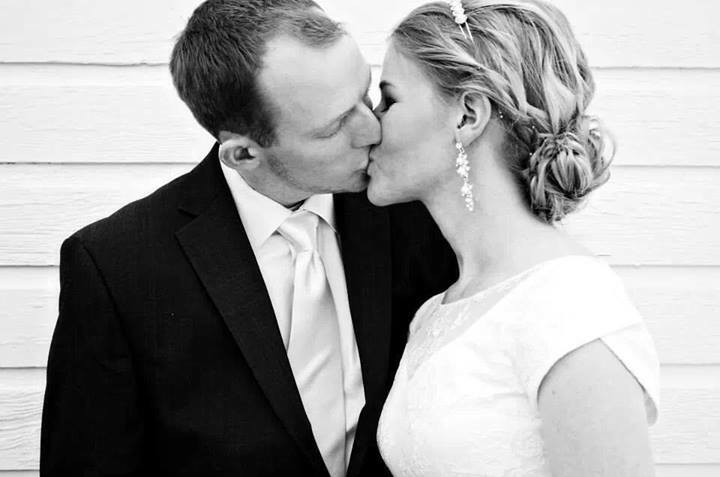 Below are both examples of brides who have traditional makeup on. The one on the top (in color) has really clear skin, with only a few minor blemishes. The one on the bottom (in black and white) however, has several blemishes. You can see that in the pictures below that even after editing, the bride on the bottom's makeup looks heavier and you can still see the blemishes on her chin. In the end the only time I recommend a bride not get airbrush makeup is if they have very clear skin and want to save some money. A lot of Brides also opt for the traditional foundation for engagement photos, and they leave the airbrush for the bridals and wedding day. I have also had brides choose traditional foundation if they are not used to wearing any makeup whatsoever. While the airbrush foundation looks light and flawless in photos, a lot of brides who never wear any kind of foundation feel it is to heavy in person. Regardless of how you look on camera I want you to FEEL beautiful and confident on your wedding day, so if the airbrush feels to heavy on you, we should switch to traditional. If you regularly wear foundation, you will not feel the airbrush is to heavy as you are used to having foundation on. If you are worried about it, then booking a trial would be ideal. However if you struggle with acne, scarring or any kind of skin inconsistencies, airbrush is a better option. 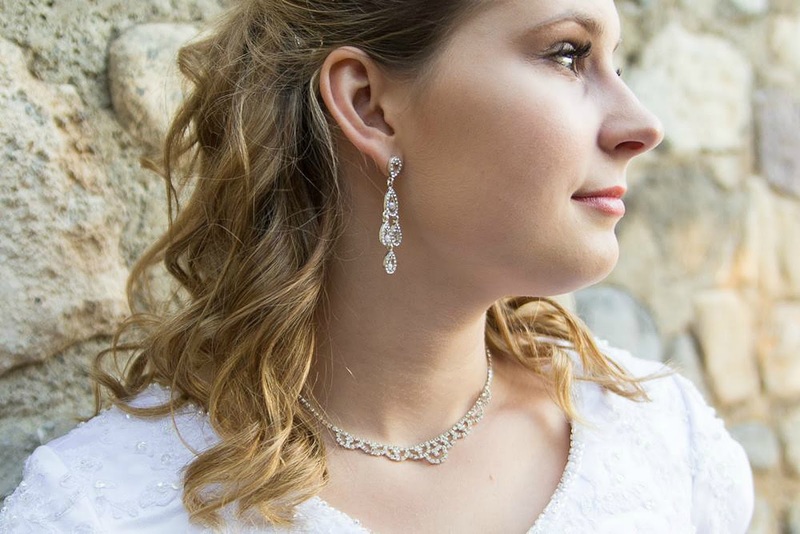 While airbrush may appear heavier in person (which it doesn't to a lot of people), it looks very natural and light on the skin in photos, and those are what you will keep forever. Protecting Your Hair From Heat!